The Conway Snowmobile Club was founded in 1969 and officially incorporated in 1973 and has over 325 members  with almost 500 snowmobiles. 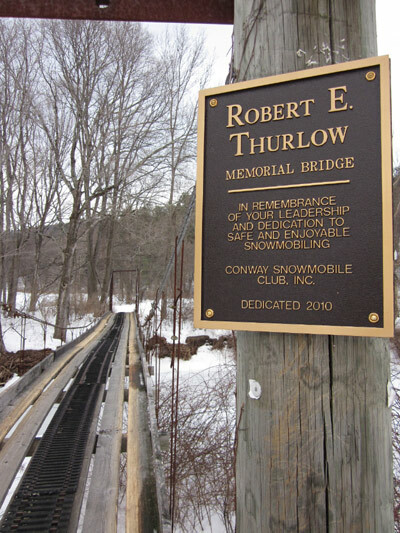 The club works closely with the Snowmobile Association of Massachusetts, the town of Conway, Massachusetts government, private land owners, and most importantly the snowmobilers, to ensure safe and continued riding for everyone. We have over 120 miles of trails to enjoy! Riders are welcome from anywhere and we hope you will take time to participate in club events, meet fellow riders, and participate in keeping snowmobiling a thriving family activity! Please contact us if you have any questions about the Conway Snowmobile Club and we hope you find our site enjoyable and useful!